On April 15, 2018, Jackie Chan attended the 37th Hong Kong Film Awards 2018 ceremony at the Hong Kong Cultural Centre in Hong Kong. 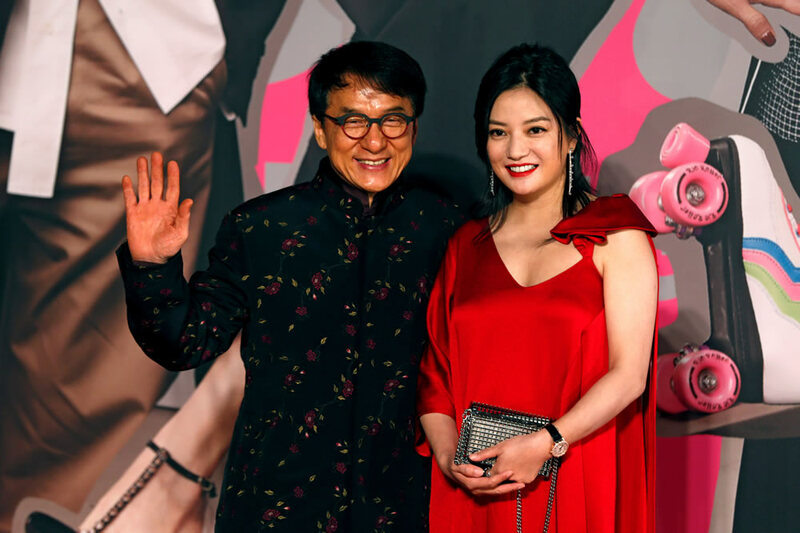 Also at the event were Asian stars Vicky Zhao Wei, Louis Koo Tin Lok, Charlene Choi, Teresa Mo, Ann Hui, Tsui Hark, Sammo Hung, Sylvia Chang, Andy Lau, Fiona Sit, Indian superstar Aamir Khan and Zaira Wasim, and many others. 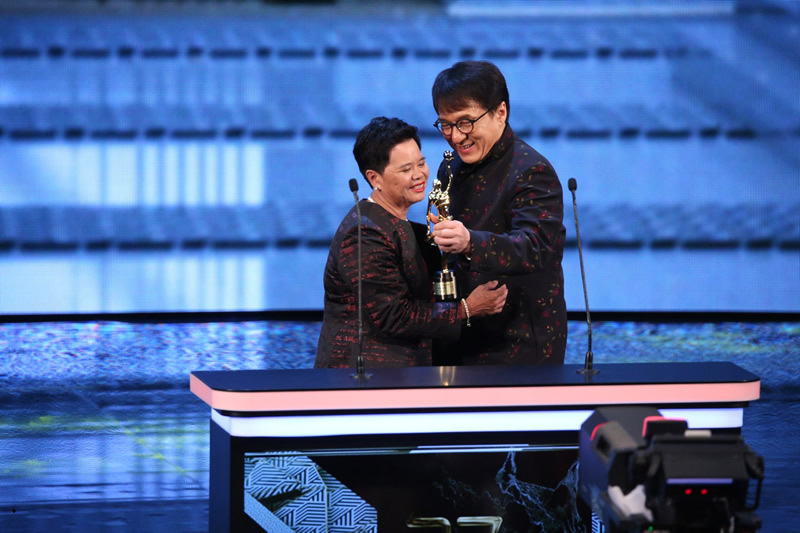 Jackie Chan awarded the Professional Achievement Award to Pauline Yeung, an experienced tea lady for over 30 years, well known for looking after artists and crew on the set of many movies. 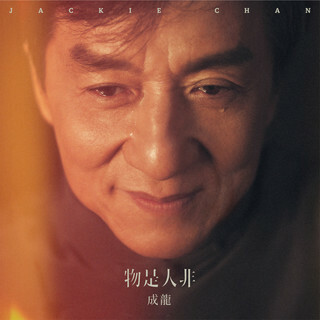 At midnight on April 9, 2018, Jackie Chan released one of his new Mandarin songs, “物是人非 – Wu Shi Ren Fei”. The song is dedicated to his friends, his family, and his brothers whom have passed away. Jackie’s full album is scheduled to be released in August 2018.